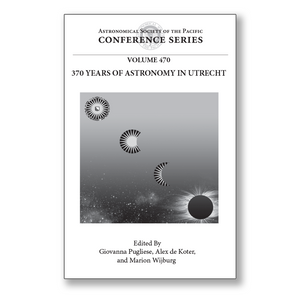 In April 2012, the astronomical Institute at Utrecht organized a 4-day international conference to highlight 370 years of achievements of the Utrecht Observatory, which was founded in 1642. The conference, which was attended by 146 people, also presented an overview of the status, problems, and prospects of the primary research topics being studied at the Institute today. These proceedings start with a short section on the history of Utrecht Observatory, from its original purpose to provide sea-faring Holland with accurate celestial maps, to the development of quantitative spectral analysis by Marcel Minnaert, the start of space research, and the rapid growth of solar physics, stellar physics and high energy astrophysics in the Netherlands. Each topic is introduced in a review paper that discusses the current status and main questions of the field, followed by several papers on specific studies. It contains papers on magnetic fields on the sun, mass loss and its effect on stellar evolution, luminous blue variable stars, binary evolution, low-mass X-ray binaries, pulsars, supernovae, cosmic rays, gamma ray bursts, star clusters, and instrumentation for high resolution solar imaging and polarimetry. The 20 reviews, 48 topical papers, and 11 poster papers provide an overview of the current state-of-the-art research in the fields listed above, with frequent emphasis on contributions of the Astronomical Institute Utrecht. The book is suitable for researchers and graduate students interested in solar and stellar physics and high energy astrophysics.